The Darjeeling Limited trailer is now available for viewing. It has all of the classic Wes Anderson attributes that you would expect - quirky dialogue, great music, fantastically composed shots, intriguing music and a penchant for great typography. 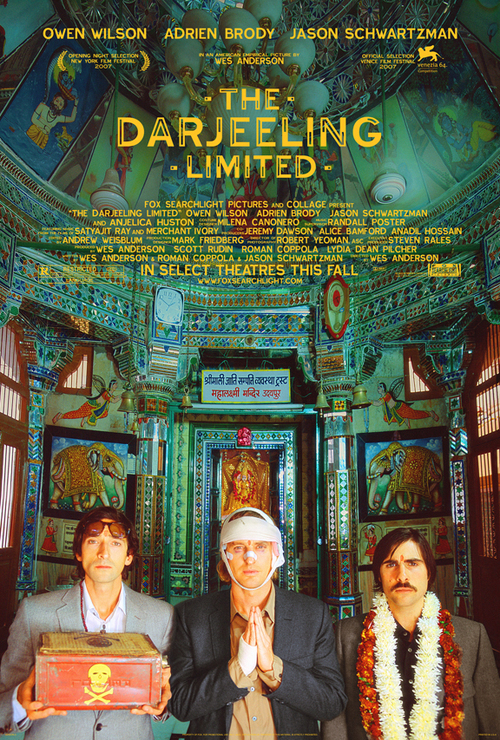 Wes Anderson took his road movie The Darjeeling Limited, about three brothers on a quest in India, to Fox Searchlight. The movie will open the New York Film Festival. Here’s an early look at the poster art. The movie looks gorgeous, exotic and funny.